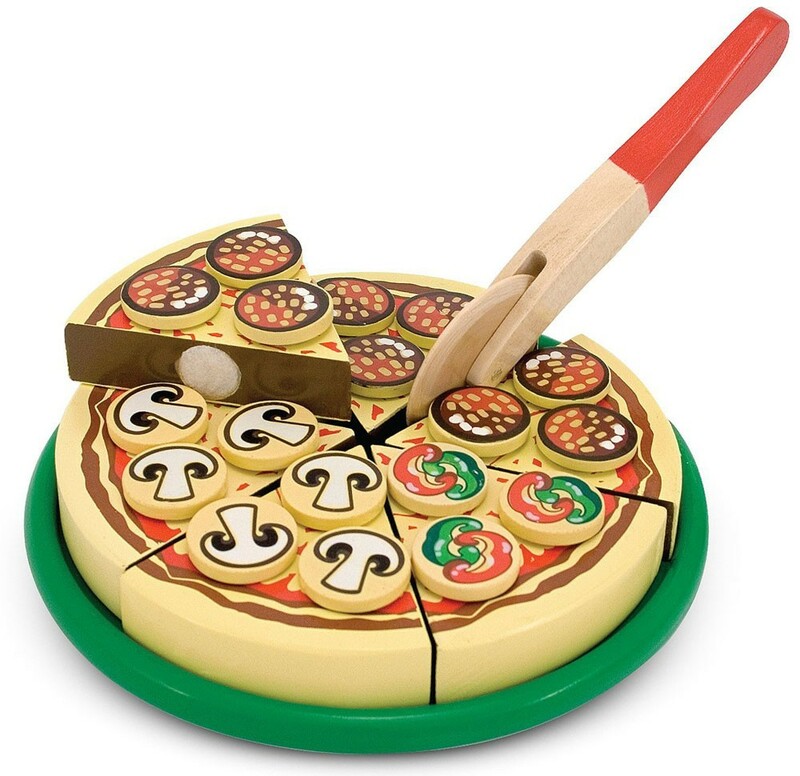 One of Melissa & Doug's bestselling play food toy, the Pizza Party Wooden Pizza Playset includes pizza, 54 toppings, spinning slicer, and a spatula all packed neatly in a sturdy wooden box. Attention, all pizza lovers and pizzeria chefs! It is Pizza Party time! What toppings would you like? Whether it is sausage, pepperoni, cheese, anchovy, Sicilian or thick crust... we have over 50 of them! Any sauce on the pie? Would you like division, multiplication, addition or deduction to go with it? 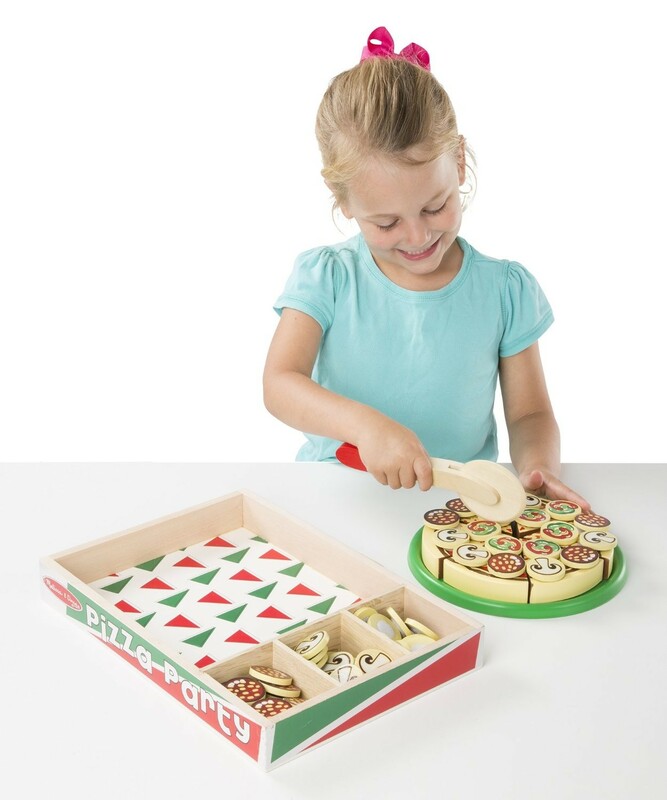 This bountiful wooden play food set is a necessary ingredient of fun and countless hours of creative play! 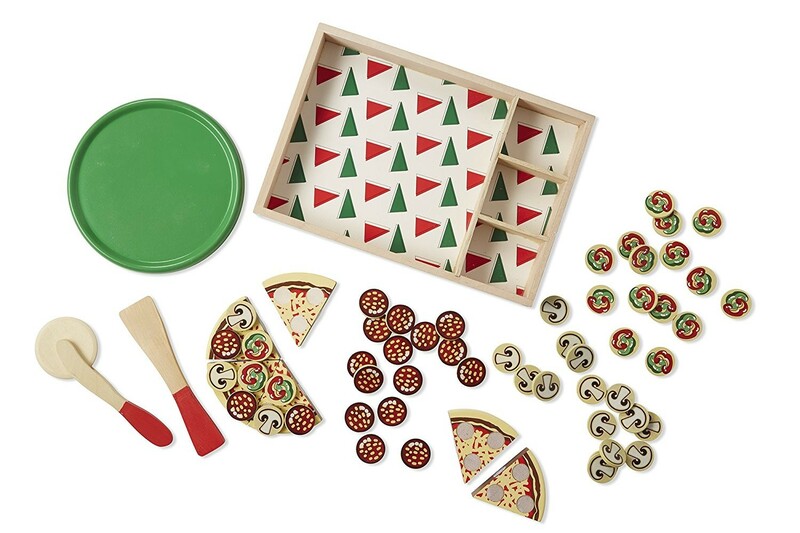 Melissa & Doug Pizza Party Wooden Play Food Set with 54 Toppings features brightly colored, hand-painted pieces that stick together with Velcro. 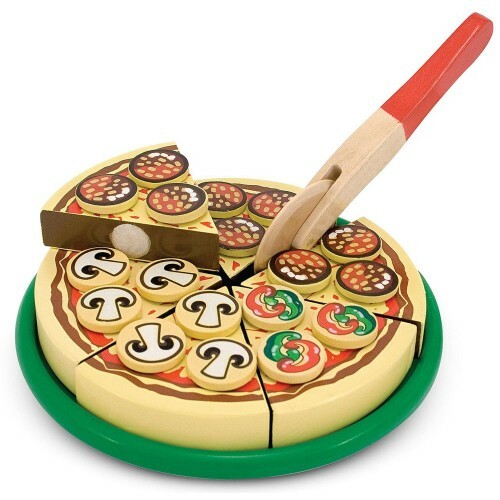 One of Educational Toys Planet's bestselling play food toy, the playset includes pizza, 54 toppings, spinning slicer, and a spatula all packed neatly in a sturdy wooden box. 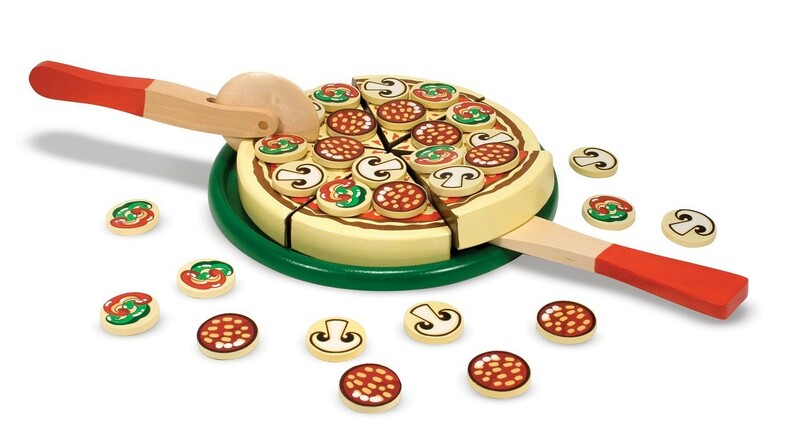 The play food set contains a total of 63 pieces. 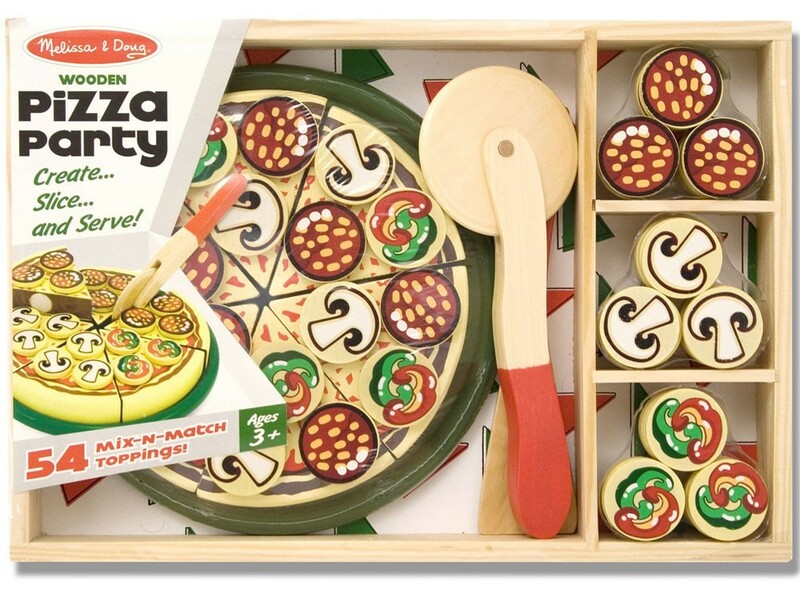 Dimensions of package 9" x 13.3" x 1.8"
Write your own review of Pizza Party Wooden Play Food Set with 54 Toppings. Rating: 5 by dorothy, MD Just like an old fashioned puzzle game. I am sure I will be served a terrific make-believe pizza. Rating: 4 by Amy, PA My nephews enjoyed making pizza! The fraction lessons will come in time!